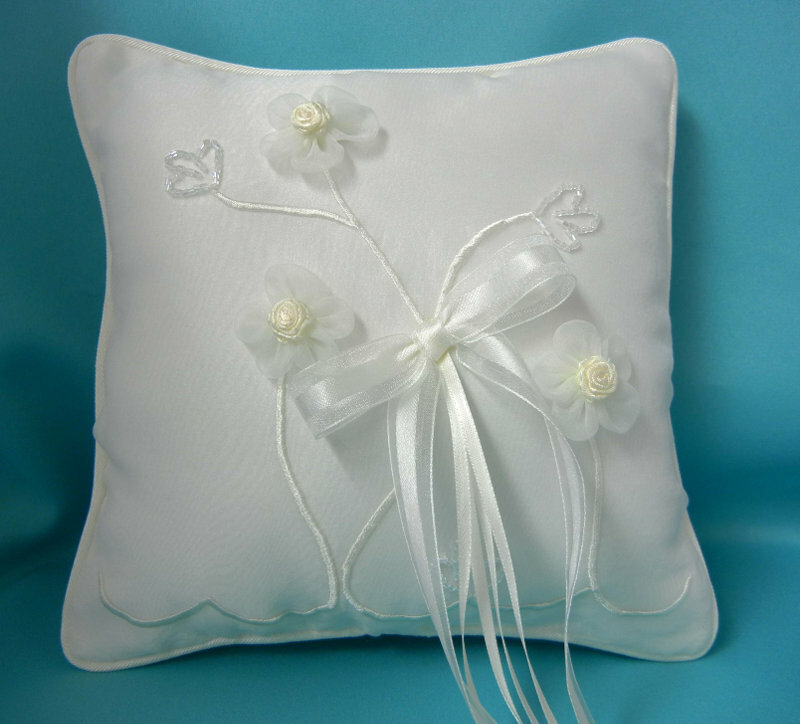 Organza ring pillow with floral design. Available in white or ivory. October special Regular price $28.00. Box not included!